Applying lip liner is always tricky but lining the cupid's bow is the worst. Even those with the steadiest hands struggle to get an even application - particularly when a cupid's bow is not well defined. Luckily, a few years ago I came across a makeup trick that guarantees a perfect pout. It is quick, free and unbelievably easy. All you have to do is draw an X on the top of your lip, simple right?! Using your lip liner, draw a diagonal line down your top lip, starting from the left peak of your cupid’s bow. Then move the pencil to the right peak of your cupid’s bow and draw another diagonal line downwards, creating an X. 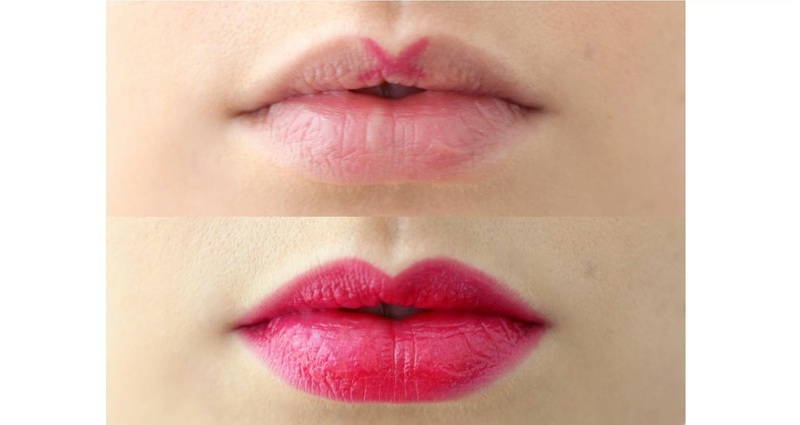 Finish lining your lips as per usual and then colour in with lipstick!